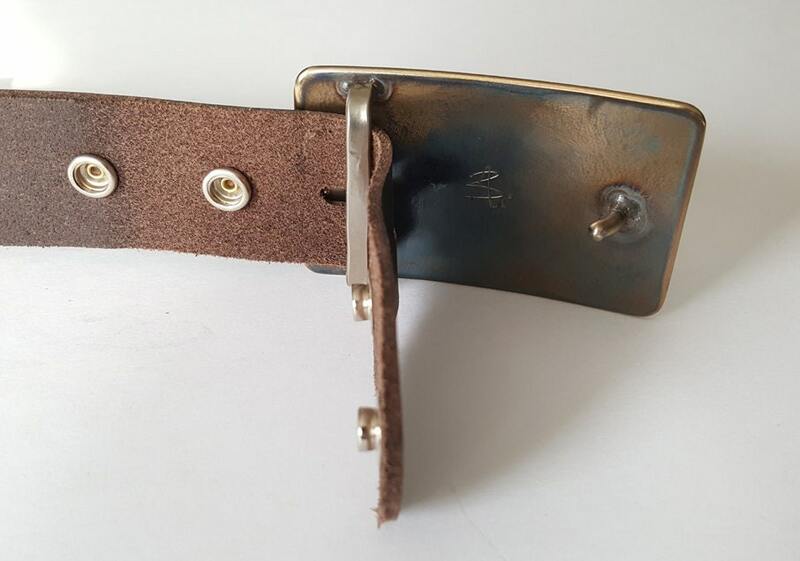 Hand forged Canadian landscape artisan signed original belt buckle stainless steel hypoallergenic with 1-1/2" leather belt for blue jeans. 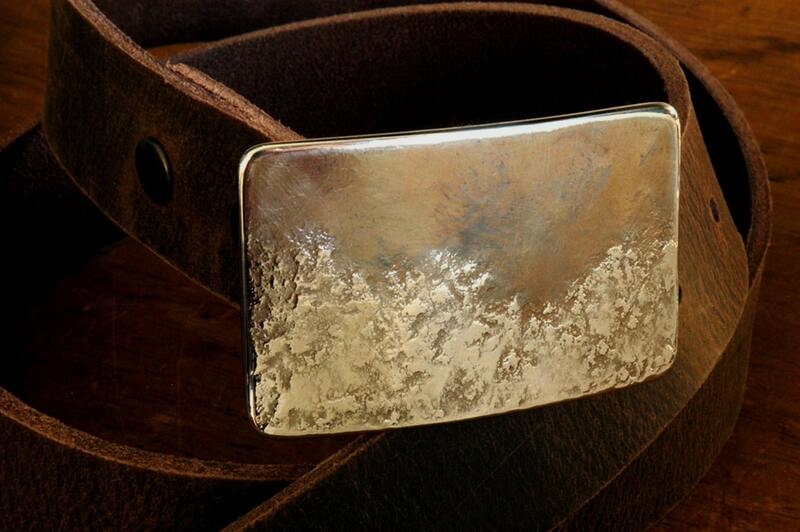 Hand Forged Buckle Signed by Artist, Robert Aucoin. Buckle is Stainless Steel & Hypoallergenic. Buckle is Ultra Slim Line Design won't add bulk to your waistline. Background texture (taupe/brown)created on the artist's anvil in the blacksmith's shop. Framed by a polished silver edge. Each landscape buckle is an original, however every effort will be made to stay true to the design in the photo listed. 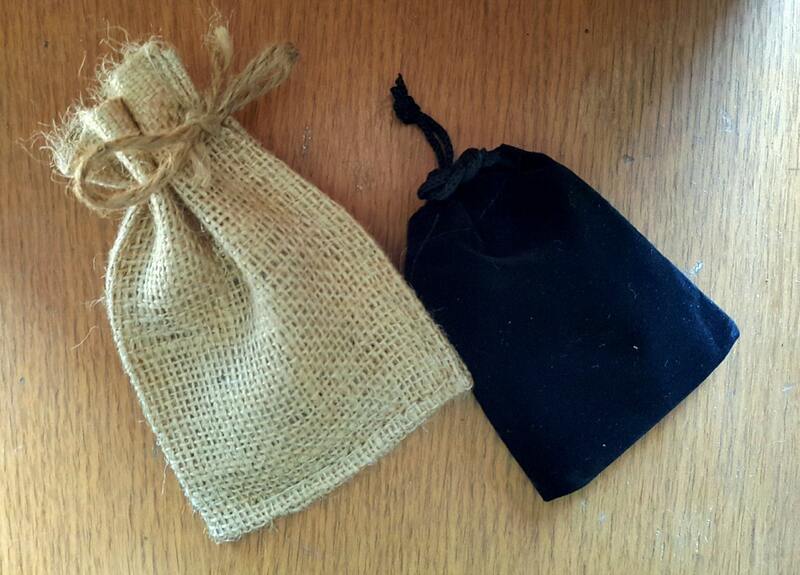 Black velvet bag or beige storage bag for buckle included. Please make your choice at the time of purchase. Make your belt choice, at the time of purchase from our drop down menu. your waist size or measure an existing belt from the hole used most to the foldover(please refer to the listing "how to sketch"
If you don't see your location in our shipping section, please request an exact shipping quote for your specific location. We will add it to the listing. Combined shipping is available.